White Rose Weddings is proud to serve Chicago and the Surrounding Suburbs for wedding and engagement photography. We thought we would put together an article to go through our entire process from booking through receiving your photos. If you have any questions or would like more information about our services, please contact us HERE. To start off we like to talk to our clients to find out some basic information about your special day. These details include the locations, basic timeline of events, what aspects of your wedding you would like us to photograph; among other event basics. The questions will help us provide a more accurate quote. Please check out our portfolio here! Let us know what your preferences are and we will match you to a photographer that meets your style. We like to have all of our clients to meet with their photographer before their wedding day. We want you to feel comfortable interacting with your photographer; that’s why all of our photographers have more than 5 years wedding experience and are wonderful people to work with! During this meeting, finalized details can be planned out. Please bring any sort of special poses or photo ideas you would like to try out and our staff will make it happen! The process is the same for engagement photos! After planning out the details with your photographer, a date will be agreed on for your photo shoot. On your wedding day, our photographers will meet you at the planned location and time and get to work! We always try to keep services professional, but fun at all times. 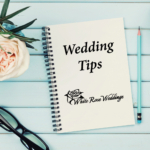 Our talented staff will work with the other wedding professionals to make sure your special day runs smoothly and stress-free. Usually we are able to deliver our photos within 4-6 weeks of the wedding day. If you have any questions or would like more information about our Photography Services, Contact us HERE!